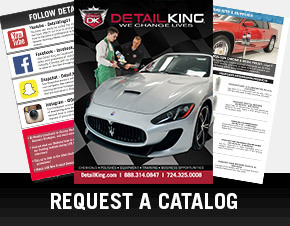 Detail King offers a wide variety of car wax applicators, dressing applicators, large cotton detailing swabs and the specialized auto detailing accessories needed to professionally detail a car. We carry various sizes and types of trim, tire and molding dressing applicators, terry cloth and microfiber wax applicators, sponge dressing and Lake Country paint correction applicators. 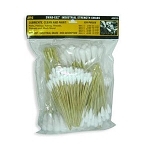 If you are as picky as we are about detailing you may want to look into purchasing our foam on a stick detailing sticks. 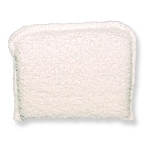 We have the right dressing applicator for every job. 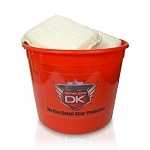 Be sure to check out our huge selection and our value bucket of applicators. 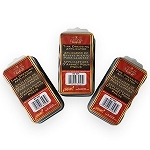 Use this gold jeweling Lake Country Polishing Applicator to apply a very fine polish or glaze as the final step of the polishing process. Jeweling is the term coined for this step because it intensifies gloss and reflectivity, like a jewel. The gold foam pad also works well for wax and sealant application. 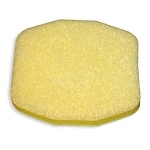 Use this economy priced this Jumbo Microfiber Wax Applicator to easily apply wax, cleaner polish, and sealant. 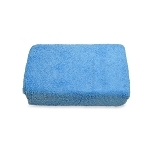 No need to worry about streaking or scratching the car's paint with this premium microfiber applicator. 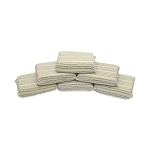 Our Terry Cloth Wax Applicators are professional grade and can be used to hand apply wax, sealant, or swirl remover. 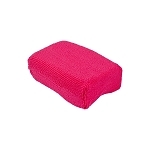 These wax applicators are constructed with 100% soft cotton terry cloth, with a spongy inner material, that will last through several applications and washes. 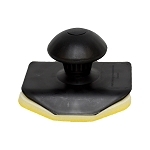 Our Economy Priced Striped Dressing Applicator can be used to evenly apply dressings to tires, moldings, interior vinyl, and leather. 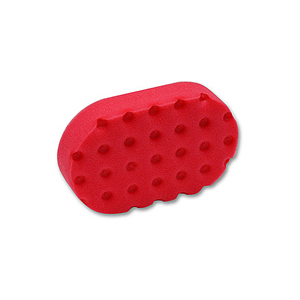 This dressing applicator is made from professional grade cloth with a spongy inner material. 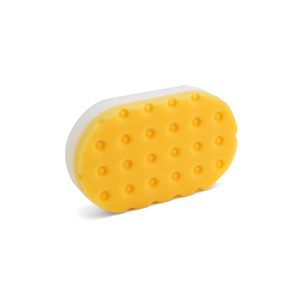 This Car Interior Dressing Applicator is constructed of soft terry and will gently apply protectants, dressings, and waxes to any surface. Hand pocket gives more flexibility and better control so you achieve a more complete and even dressing application. This newly innovative Tire Dressing Applicator is fully portable, with a resealable design that makes dressing tires easy and convenient. 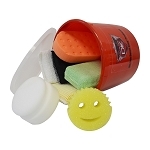 A handy storage container keeps the applicator clean and ready to use over and over again. 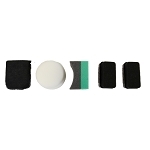 This Tire Shine Applicator is a OEM applicator refill for the Hand Held Tire Dressing Applicator Tool. 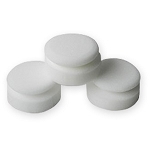 Using these applicators will cut down on product waste that can be absorbed in rags used for dressing. 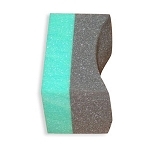 This car wash sponge on a stick is a unique auto interior detailing applicator that can be used to dress hard to reach places. 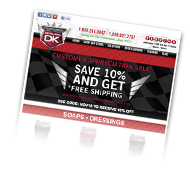 Apply dressing to this car applicator and dress areas that need to be conditioned. 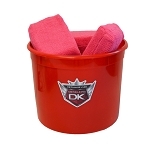 This item can also be used to clean tight spots within the dash and console. 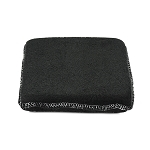 Our Professional grade nylon cloth Auto Dressing Applicator can be used to evenly apply dressings to tires, moldings, interior vinyl, and leather. 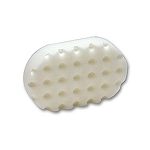 These dressing applicators are constructed from soft, plush nylon cloth with a spongy inner material, that will last through several applications and washes. 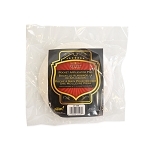 Our Professional grade 100% cotton terry Auto Wax Applicator can be used to hand apply wax, sealant or swirl remover. 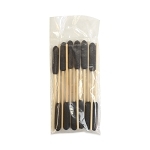 These wax applicators are constructed from soft, plush terry cloth with a spongy inner material, that will last through several applications and washes. 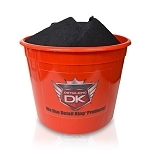 You receive seven of our most professional grade Auto Dressing Applicator and Scrubbers, which can be used fro dressing tires, applying wax, removing stubborn grim and more!